It seems the white noise wasn’t helped by using headphones to do my testing. As soon as I used a set of powered speakers the sound seemed much much better. There is still some white noise over the right speaker but much less so than my Audio Animator. Therefore I would say card is all good for production, once i decide if i want to add input capability or not :). Prototype was completed tonight. 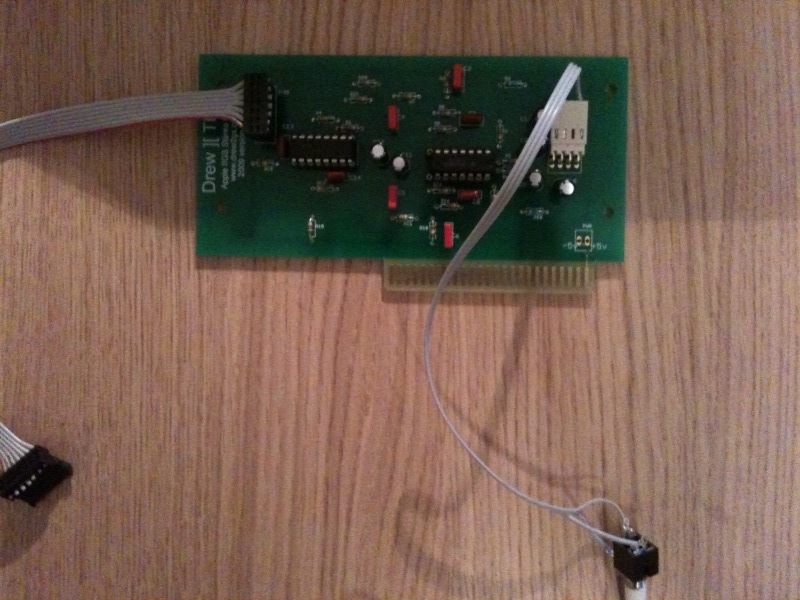 Didn’t take long to solder together and all worked (kinda). The only issue is hiss coming from right speaker, similar to the bread board. Will investigate. Anyway some pictures are below. 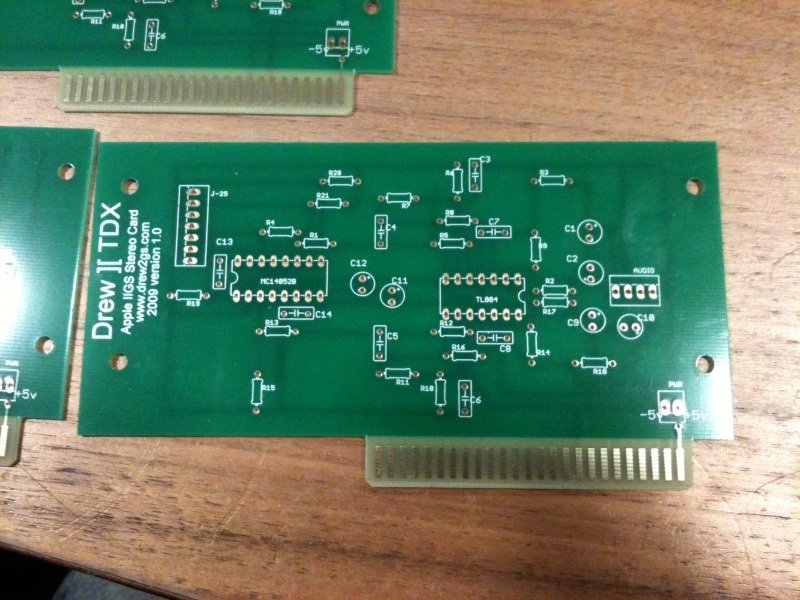 The prototype boards have turned up. Will try to get something built over the next couple of days to see if all works and how it sounds. 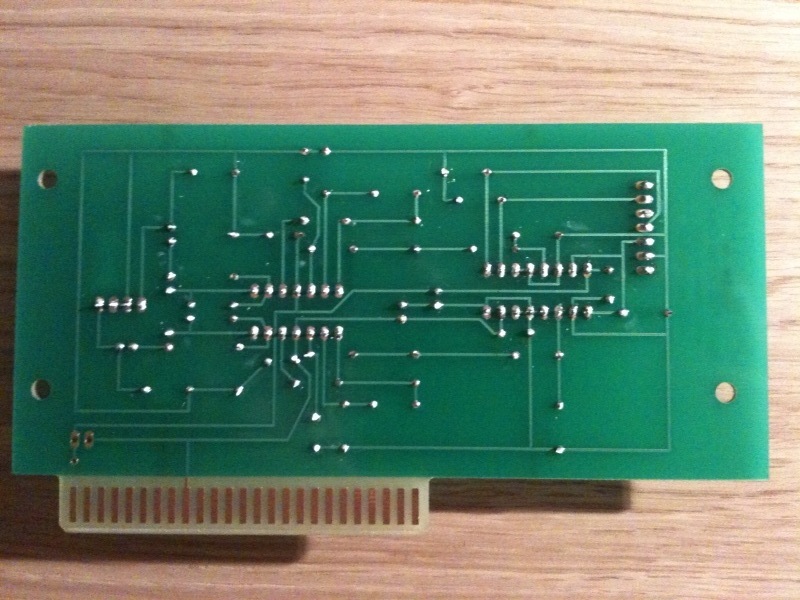 The card has 4 mounting holes and also a space for a connector for +5 and -5 volts to power the board without a slot. How this will get housed has not yet been decided, but at least base design can potentially be used for slotless application. 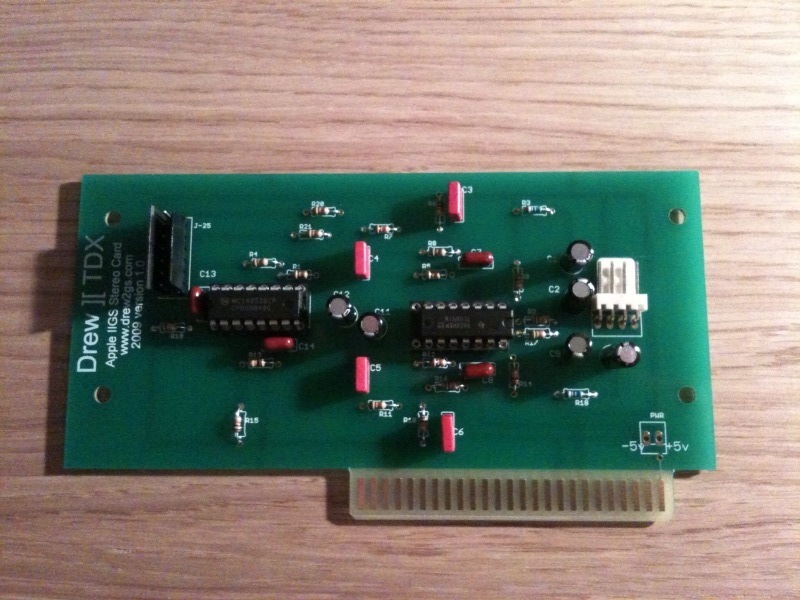 My current thoughts are now to encompass a digitiser, using info from CSA2 and also the hyperstudio audio card as an example circuit…so will be back to the drawing board once I have a working board. 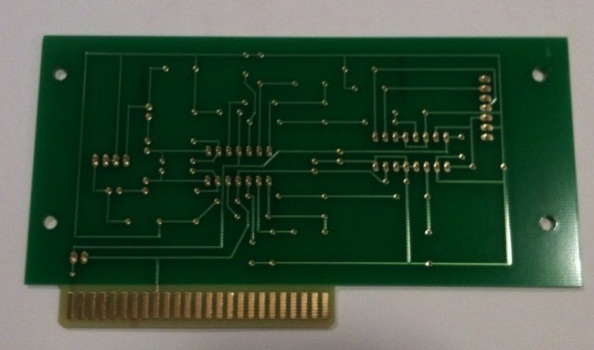 I have decided to wing it 😉 and have sent the latest PCB layout to have a prototype made. I should be a in a position within the next 10 days to actually make my first card. Today I have been thinking about what I can really achieve in this project as a lot of things are new to me. At this point I have decided to go with a slot based design with connectors for J25 connection and audio out. This will allow the Stereo out connector to be screwed to one of the plates at the back. One thing I don’t like with the stereo card is mono sound only comes out one speaker (same as my Audio Animator, so nothing specific to the TDX), so I am planning to now put a switch to allow the mono sound to come out of both speakers giving a stereo effect if desired. This switch will be mounted on the back plate. 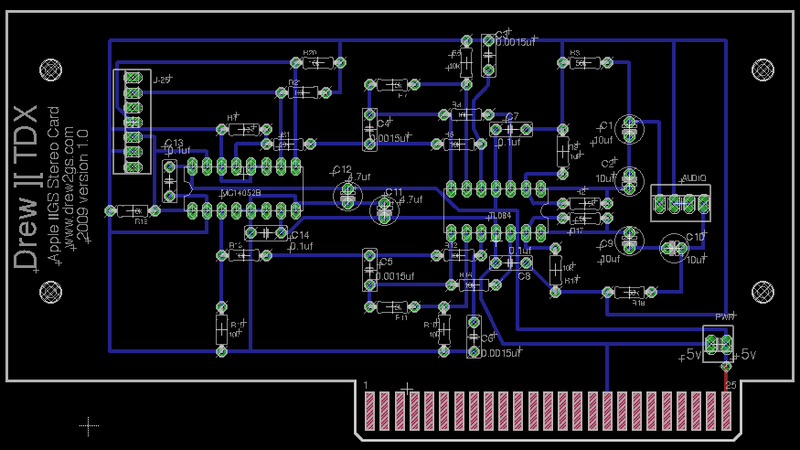 Work has now started on getting quotes together for PCB boards and plate manufacture while I work on the prototype card. I have had some initial quotes back. 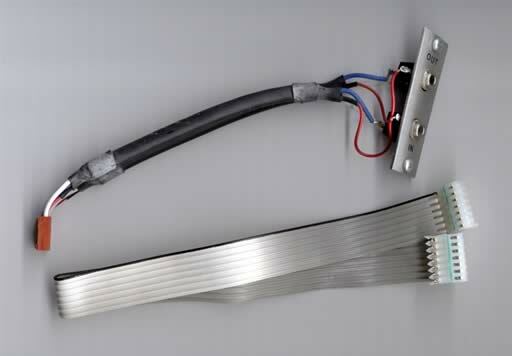 They look very promising and now just waiting for back plate fabrication quotes. I fully plan to investigate slotless design and ADC after the initial run is completed. You are currently browsing the Drew ][ blog archives for November, 2009.